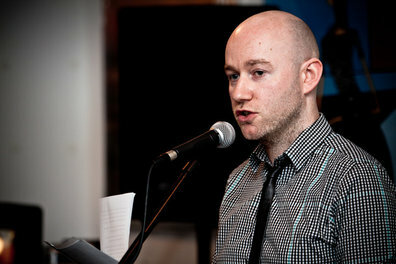 Martin O’Connor is a theatre-maker, performer and poet from Glasgow. He is interested in exploring ideas of Scottish representation and identity through theatre and poetry, with particular interests in Scots, Gaelic and verbatim. He makes work for solo performance as well as with, and for, other people. Throughout his career, Martin has worked with The Arches, the Tron, The Citizens, Scottish Opera, National Theatre of Scotland, Glasgow Life, National Galleries of Scotland, Visible Fictions, Platform, Firefly and Paines Plough. Central to his performance work is participation and education. He has worked in Supported Learning in Further Education and has been director of the Tron Theatre Young Company since 2012 as well as holding Writer in Residence posts with Firefly Youth Arts and the Children's Hospice Across Scotland. In 2012, Martin completed a Master of Arts in Education (Equality and Diversity) where he specialized in the transformative practice of participatory performance. His work has been developed and supported by Playwright’s Studio Scotland, a National Theatre of Scotland Writer’s Attachment and the artist development programme Team Effort. Martin is based at the Tom McGrath Writer's Room, CCA, Glasgow. Use the contact page to get in touch via email, Twitter or Facebook.